PRICED TO MOVE $800 below NADA Retail!, FUEL EFFICIENT 29 MPG Hwy/20 MPG City! 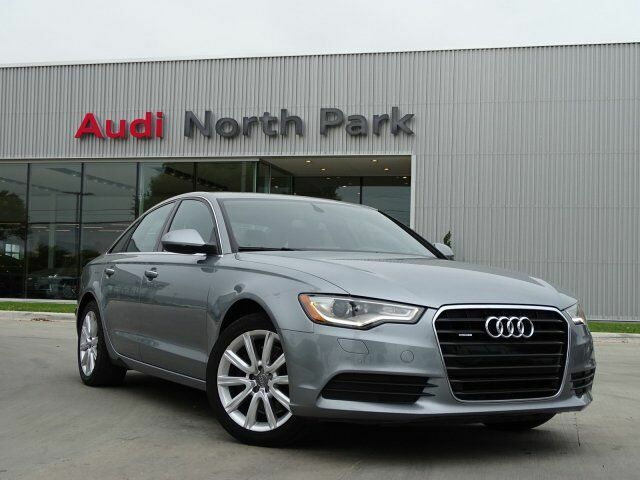 Audi Certified, LOW MILES - 48,679! Navigation, Sunroof, Heated Leather Seats, All Wheel Drive, Rear Air, PREMIUM PLUS PACKAGE, Alloy Wheels CLICK ME! PREMIUM PLUS PACKAGE Audi Side Assist, Audi Parking System Plus w/Rearview Camera, Audi Pre Sense Rear, Audi Advanced Key (Keyless Entry), Heated Auto-Dimming Exterior Mirrors, Audi Sound System, 10 speakers including front center speaker and subwoofer in the rear, 180 watts and a 6-channel amplifier, Driver Information System, 7-inch color display, and trip computer, Audi Connect w/Online Services. MP3 Player, Sunroof, All Wheel Drive, Aluminum Wheels, Remote Trunk Release, Steering Wheel Controls, Child Safety Locks. This A6 is priced $800 below NADA Retail.